We’re giving away one each weekday, so all you have to do is buy any kids’ product* to be in the draw that day. And yes, you can purchase again, as many times as you want, to have multiple entries in multiple draws! So get shopping now for Christmas, birthdays, summer fun, or just because kids are the best and we love to spoil them rotten. *Applies to purchases of products only (not experiences or escapes) that have been listed in the category of Baby, Kids & Toys (https://new.grabone.co.nz/region/baby-kids-toys?page=2&vertical=store&view=grid) between Monday November 20th and Friday November 25th, 2017. Enter by purchasing any Kid’s product deal that has been listed in the category of Baby, Kids & Toys (https://new.grabone.co.nz/region/baby-kids-toys?page=2&vertical=store&view=grid) between Monday November 20th and Friday November 25th. 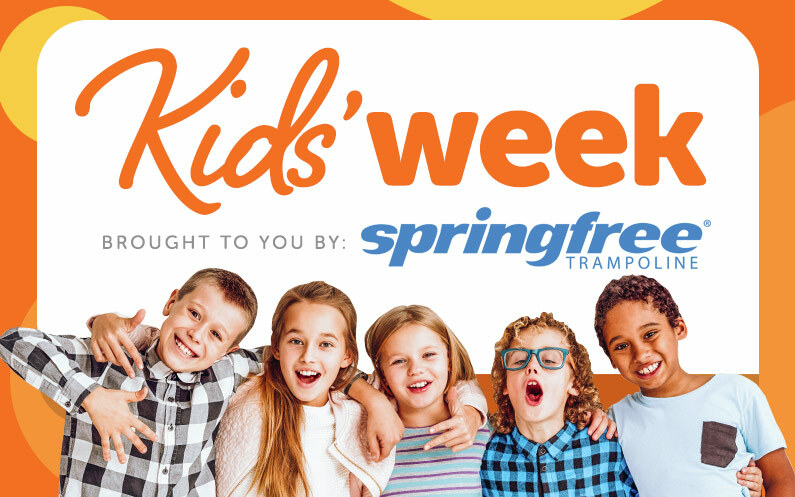 There are five Medium Oval Smart Springfree Trampolines to be won in total, with one available to be won each day between Monday November 20th and Friday November 25th, 2017. Multiple purchases of Kids’ product deals are allowed and will count as separate entries for the respective draw. The draw will be made by 4.00pm the following working day, and the winner will be notified by email between 4.00pm-5.00pm that day. The prize will be shipped to the address provided by the winner within 6 weeks of the draw being made. GrabOne cannot be held responsible for any loss or damage that may occur in shipping. No parts of the prize package may be substituted, transferred or on-sold. Where are the details of who has won the Springfree Trampolines? Did I win one?